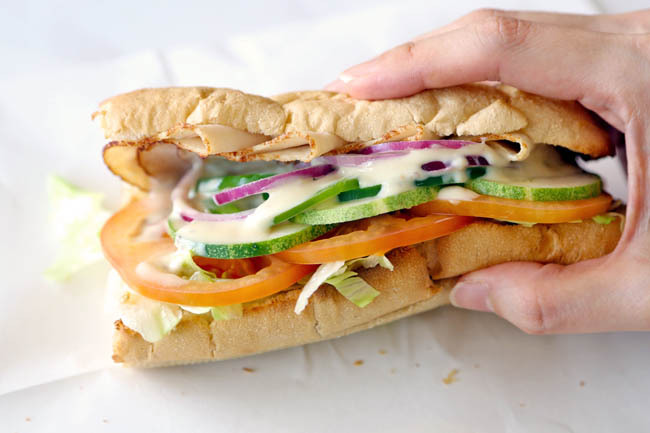 Subway Restaurants in Singapore has joined the Health Promotion Board’s (HPB) Healthier Dining Programme to promote better eating options and encourage customers to pick up healthier choices. My colleagues and friends do enjoy Subway for a quick fix during lunch, and if we want something loaded with veggies yet still filling. Do you know that there are 8 Subway Fresh Fit™ Subs to choose from, and each Fresh Fit™ Sub has only 6 grams of fat or less? You can turn them into a Fresh Fit™ Fit Meal which comes with a side of yogurt and bottled mineral water, weighing in at 500 kcal or less. The 8 Subway Fresh Fit™ Subs include the Chicken Teriyaki, Ham, Roast Beef, Roasted Chicken Breast, Subway Club™, Turkey Breast, Turkey Breast & Ham and Veggie Delite™. 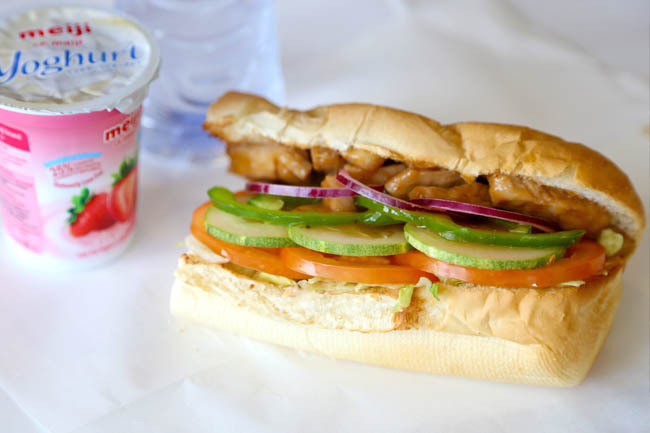 My personal top favourite to-order is the Sweet Onion Chicken Teriyaki (at 350 kcal) as I usually like my subs substantial with meat. 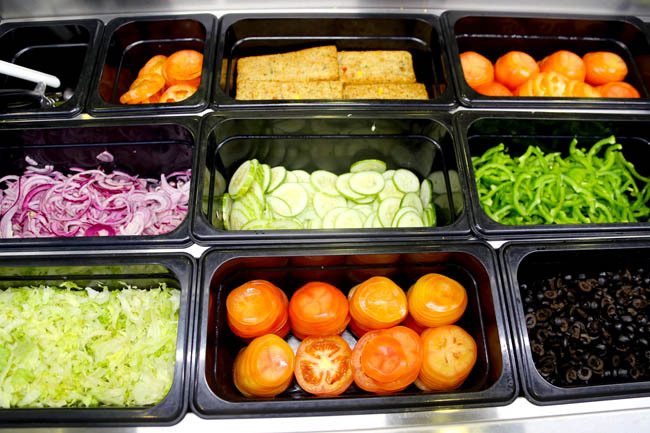 After which, I would ask to the sandwich artists to load the sandwiches with fresh crunchy veggies such as lettuce, tomato, cucumber, green peppers, and onions. Sauce wise, I would request for either the Honey Mustard Sauce (29 kcal) or Sweet Onion (39 kcal) – Both sauces are Fat Free. Who says a healthy lunch needs to be boring? I was surprised to find out my favourite Chicken Teriyaki is 350 kcal and has less than 6 grams of fat. All the succulence in the chicken and teriyaki glaze, and still below 500 kcal? Yeah! Usually we just order without knowing or reading the nutritional values. 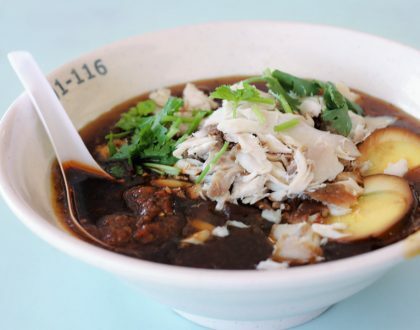 Here are some fun facts of the Subway items in Singapore which you may be interested to know. 1. Subway has 8 Fresh Fit Subs which are the Ham, Roast Beef, Roasted Chicken Breast, Subway Club™, Chicken Teriyaki, Turkey Breast, Turkey Breast & Ham, and Veggie Delite™, all with 6g of fat or less. The Fresh Fit™ menu was first introduced in Singapore in 2007. 2. Of all the 6-inch Fresh Fit™ Subs, Veggie Delite™ has the lowest calories at 205 kcal. 3. This is followed by Turkey Breast at 260 kcal. 4. 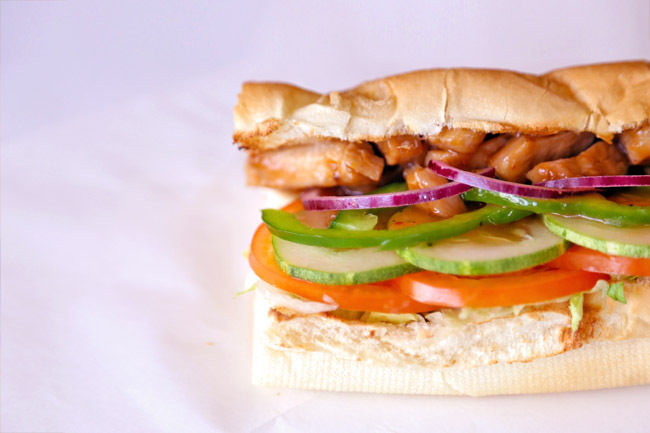 The highest calorie Fresh Fit™ Sub is the Sweet Onion Chicken Teriyaki at 350kcal. Actually, that is still not too bad. 5. The most popular sauce in Singapore is the Honey Mustard which is fat-free and at 29kcal. 7. Subway also serves breakfast sets, and the 3-inch Breakfast Sandwich on Flatbread (sausage, egg and cheese) is at 281 kcal. 8. Even the set meal with hashbrown and coffee/tea is still below 400 kcal. Quite surprising. 9. Subway Singapore has a new topping – Avocado ($1.20 for a scoop). Why didn’t I notice that? 10. The 4 lowest-calories sauces are Vinegar (almost nothing), Sweet Onion Sauce (39kcal), Yellow Mustard (5kcal) and Honey Mustard (29kcal). Yeah for Honey Mustard! If you are an early riser like myself and have walked past a Subway, you may have noticed their breakfast sets. I have the feeling many people do not know about the availability of their flatbreads. 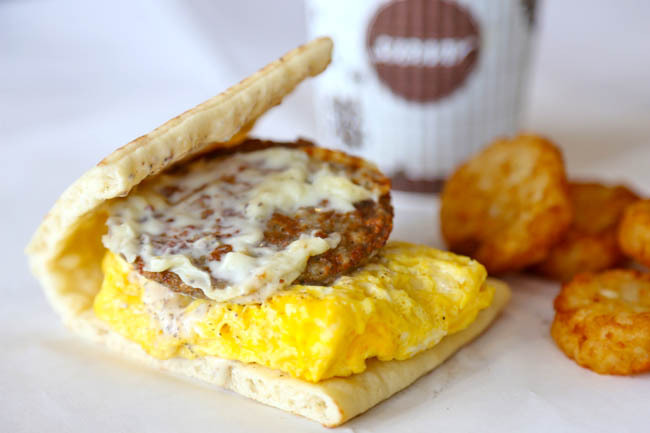 Try the Sausage, Egg & Cheese. 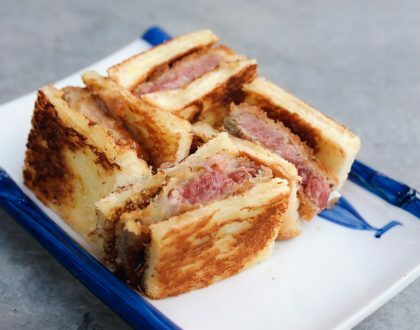 The egg is quite fluffy and sausage tasty with a thin layer of cheese, all covered within a slice of soft and pliable bread. Other than a range of healthier options and specially designed 500kcal meals to help you reduce caloric intake, you can also stand a chance to win up to $300,000 worth of prizes! All you need to do is to purchase a 6-inch Subway Fresh Fit™ Sub or Meal or a 3-inch Breakfast Flatbread Meal at any of the participating outlets. 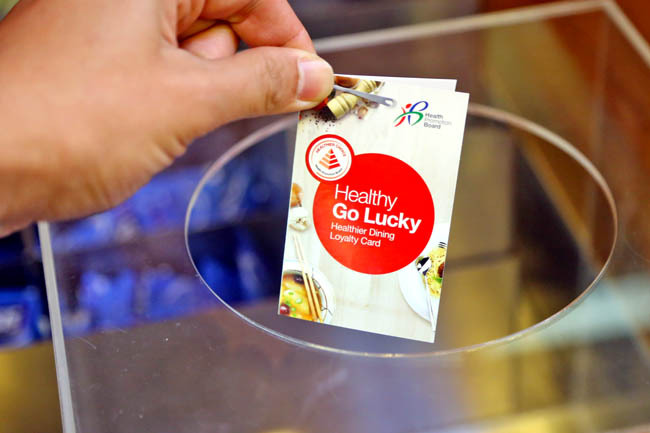 Remember to collect and stamp your Healthy Go Lucky card from the sandwich artists! 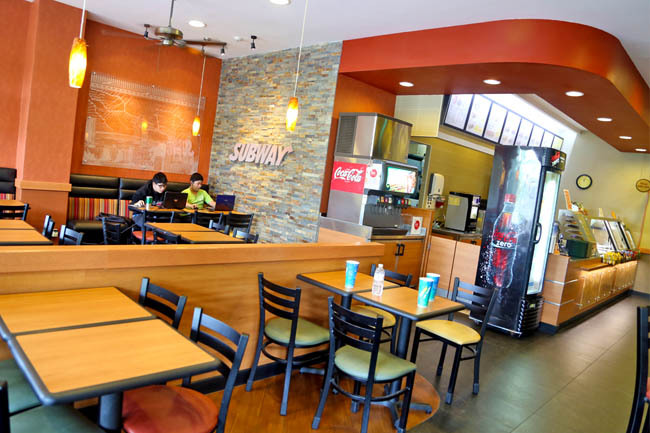 there have been overseas (U.S.) reports that Subway are not as healthy as it is promoted. high salt contents and bread dough, vegetables are all made using preservatives. 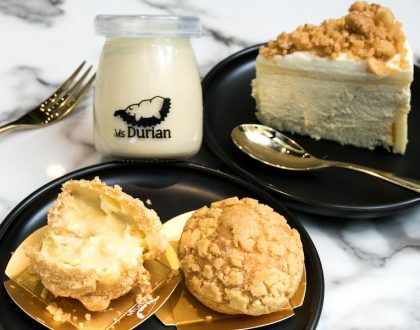 is it different in singapore outlets?